Shower Curtain Hooks Decorative Sea Shell Starfish 12 pieces Shower Rings Hangers Rust Proof. Strong and Durable - Resin Starfish and Sea Shell and Steel Hooks. Anti Rust. Beautiful Ocean Beach Design - Lighthouse and Starfish. Shower Curtain Hooks Decorative Lighthouse and Starfish 12 pieces Shower Rings Hangers Rust Proof. Beautiful Ocean Beach Design - Lighthouse and Starfish. Strong and Durable - Resin Starfish and Sea Shell and Steel Hooks. 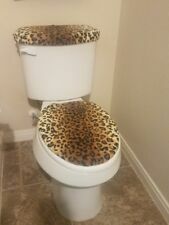 Toilet Seat and Tank Top Cover Set. 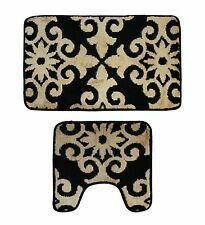 Our "Toilet Seat Cover Sets" will fit both Standard and Elongated Toilets. This set is handcrafted from soft fleece and elastic that creates the perfect fit. Machine wash cold, gentle cycle; tumble dry low. colors: white and blue. The full color fabric shower curtain features stamp-like graphics of lake-side features and landscapes. The faded tones of the fabric adds to the rustic feel of this one-of-a-kind bathroom accessory. Perfect for the entrance door, bathroom, toilet, dining table, study, kitchen, bed etc. 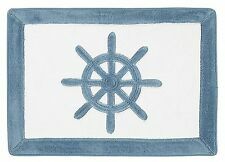 Size: Bath mat 18x30", Contour rug 17x17". 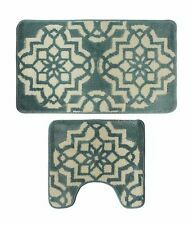 Material: Both Rugs made of 100% Microfiber. Shower Curtains. Each Curtain Includes 12 Hooks. Size: 71" x 71" (180 cm x 180 cm). NEW 7 PC SET SILVER BEIGE,TAN MOP(MOTHER OF PEARL) MOSAIC TILES, BATHROOM SOAP LOTION DISPENSER,TUMBLER,TOOTHBRUSH HOLDER,JAR W/LID,TISSUE/NAPKIN BOX,SOAP DISH & TRASH/WASTE CAN.HANDMADE IN INDIA. Towel length. Towel width. The optimal solution is prevention: the hook portion should always be covered, so it does not grab onto anything it should not — like a blanket or your hair. Always engage the hook and loop before washing. NEW 3 PC SET HANDMADE INDIA MOP(MOTHER OF PEARL) TILE MOSAIC SOAP DISPENSER TOOTHBRUSH HOLDER SOAP DISH(HANDMADE IN INDIA). 55% Hemp and 45% Organic Cotton Sports Washcloths. The more it is used, the softer it gets. Hemp fiber has long been praised for its ability to withstand rot, mildew, and insects. Hemp fabrics have a high abrasion resistance and tear resistance. Towel length. Towel width. thick terry cloth. elastic encased in soft t-shirt fabric to keep away from bare skin. Machine Wash Warm. Wash Before Use. 100% cotton. easy to put on. 4 PC SET WHITE CHECKERED PATTERN BEIGE FLORAL ACCENT CERAMIC KITCHEN/BATHROOM SOAP/LOTION DISPENSER SOAP DISH TUMBLER TOOTHBRUSH HOLDER. New open bag Maddie Shower beige Curtain 72 X 72. Soft and Absorbent Durable Non-Slip Area Rug Bathroom Livingroom Pets Mat 30x18"
NEW 4 PC CERAMIC WHITE,BEIGE FLORAL SOAP DISPENSER SOAP DISH TUMBLER TOOTHBRUSH HOLDER. And be sure to add us to your favorites list ! Sandy Seashells Beach Towel, 30"x60"
Sandy Seashells Beach Towel. Beach towel featuring a sandy beach with multi-color seashells. Made of 100% cotton. Machine washable. The more it is used, the softer it gets. Hemp fiber has long been praised for its ability to withstand rot, mildew, and insects. Hemp fabrics have a high abrasion resistance and tear resistance. Hemp textiles are industry tested for strength, durability, UV protection, mildew resistance, fire resistance, elasticity, and we know that hemp can be grown without herbicides and pesticides nor fungicides or fertilizer. 1 Blue soccerball Washcloth. The more it is used, the softer it gets. Hemp fiber has long been praised for its ability to withstand rot, mildew, and insects. Hemp fabrics have a high abrasion resistance and tear resistance.